Howdy Friends I'll start this week off with a taste of what Swinging Country is ALL about a Western Swing tune from Red Jenkins, & Billy Mata a Traditional Country tune from Pat Roden and a Western tune from Farrier Figgs AKA Doug Figgs & Mikki Daniel. 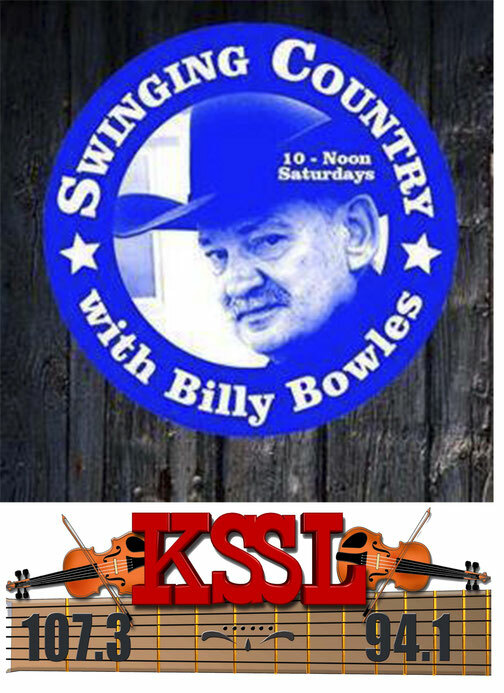 Next New Recordings to Swinging Country from Abby Payne, Larry Clark, Sara Lou & Rex Allen Jr.
Next it is Jo-el Ulmer & LeAnne Smith Ulmer = 2 Country 4 Nashville, Bob Corley, Moe Bandy. Next is thought provoking tunes from Landon Dodd, Kristi Kalyn, Johnny Bush. Then we set the Patriotic tone with songs from Jerry Webb, a Double shot from Joni Harms and one from Cody Joe Hodges. Then a Visit with Gary Vaughn & Susanne Abbey Kssl about next weeks 4th Annual South Plains Honor Flight Radiothon. Followed by Music from Bobby Flores and a Visit with Pat Matthies with Friends of The Sweetwater VFW Dancehall and more Bobby Flores Music. Next is a Double Shot from Kenneth Goldsmith. An Early Birthday Dedication Two in fact going out to Jim Stephens loyal listener in Kentucky one from Leon Rausch and one from Brian Sklar & The Tex Pistols. Get your Dancing Boots on for Garry Ash, Lisa Layne Stewart, and Eugenia Roberts Hamilton. Closing out with a Song of Inspiration from Bobby Flores New Gospel CD.